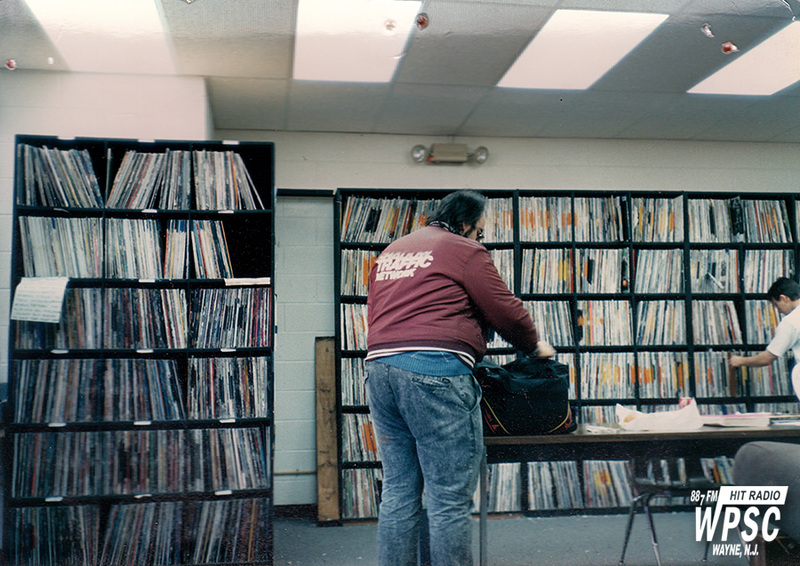 Tom Casola in the WPSC-FM record library in the "new" studio location in Hobart Hall. This photo is believed to have been taken sometime in 1989. This photo documents part of the large vinyl record collection WPSC maintained, and was famously(infamously) disposed of by General Manager John Kiernan in the early 1990s.